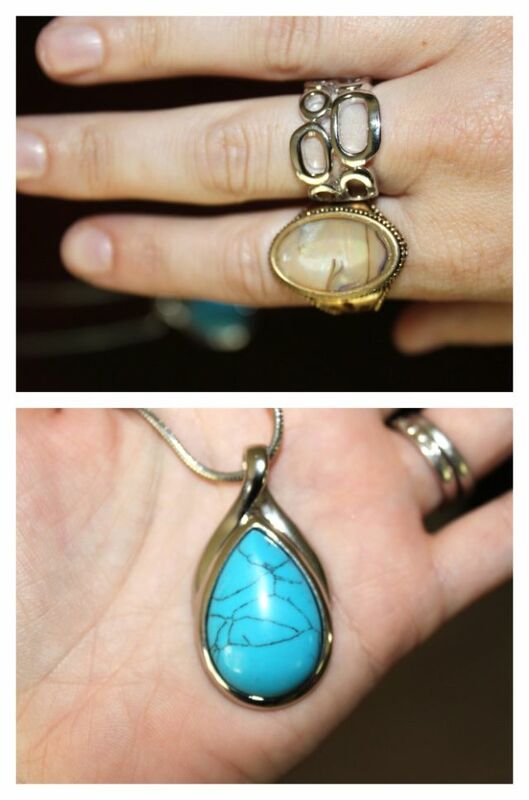 I won this amazing jewelry from Pree Brulee over at Color Me NaNa's blog! I LOVE all my new pieces! The colors are so amazing and they have so many unique styles. I highly recommend you check out their online store! These are my new Kristin Hassan bracelets. GUSH! 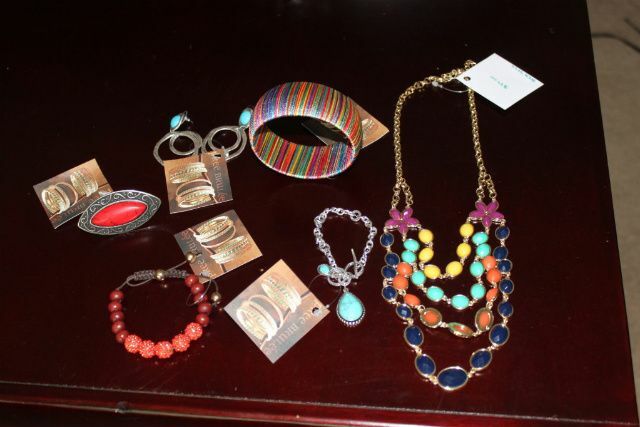 She has a new line of jewelry and it is very affordable. SHOP SHOP SHOP ladies, love great pieces that also have great prices! Here are my new Lia Sophia pieces! My cousin's wife Kelly had a party, and since I had plans that day, I ordered my items a month in advance. Truth be told I had forgotten what I had ordered so when it came it was kind of like Christmas! I LOVE ALL 3! Thanks for throwing a party Kelly, I love Lia Sophia and unless you know a rep, it's hard to order. Last, but certainly not least, here are my new Baublebar pieces. I got this wrap bracelet for my kids babysitter Abby as her b-day gift and quickly ordered another for myself when I saw how amazing it was in person! LOVE! After purchasing these wraps, my "vault" credits (you get a credit every time you order and can cash in your credits for items) were at 11 so I cashed 10 credits in for this red bangle. Got to love freebies! Very pretty! Just found your blog on bloggers.com - it so cute and creative! Keep up the good work! wowwwww i love all this jewelry so colorful! 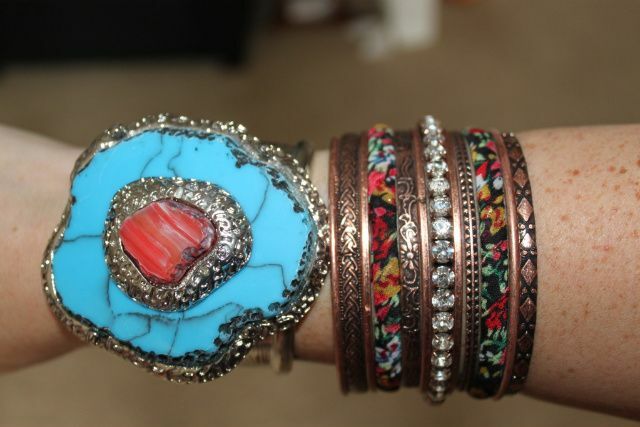 I love that big chunky cuff!! Very pretty! Love it all! Wow, I love all =) Beautiful! love! 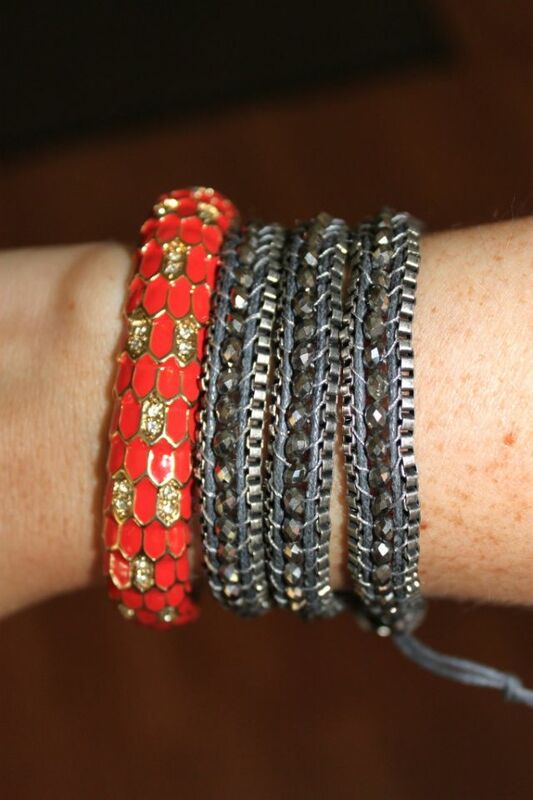 obviously love the studded wrap bracelet from baublebar best! looks great. What lovey additions to your wonderful collection! Holy shopping girl, love these pieces for real! Loving all your new jewelry. Now I definitely think I need to go on my own little jewelry shopping spree. Oh my goodness, so much pretty! I love all of the colors!